Mali Mish - Day 76: Dropping off our Airstream for service. 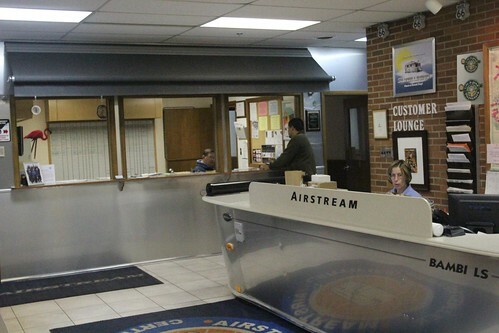 We eventually made our way into the service center to check the trailer in closer to 8 o’clock. We had to pack a day’s worth of stuff for everyone since we won’t be seeing the Mish until after 5pm. Today, we are getting a few things looked at. Some of it we are hoping is covered under our extended warranty and others we know we will be paying through the nose for. The labor rate here is $109 an hour and parts are not cheap either. First thing we asked them to do is to checkout the plumbing. Since we got a bad valve fixed after our trip to the 2011 Albuquerque Balloon Fiesta, the flush inlet of the black tank is no longer working. They are going to take a look and see if our warranty will cover that. We also asked for them to repack our bearings which we have not done in over a year. That one we will have to pay for and it is expected to be about $250. While they are in there, I asked them to check on the brakes. We have had some squealing which usually means worn out pads. It shouldn’t be much to just replace some pads. And the final thing is the light above the exterior of the door went out this morning when I opened to see who was knocking. It has gone out before. Last time it was just corrosion build-up on the grounding screw. A couple of passes with a steel brush will clean that up and shouldn’t cost much. I would do it but I figure since they are going to be looking at it, maybe they can quickly fix it without much harm. Assuming that the plumbing is covered by warranty, I am shooting for about a $500 day. 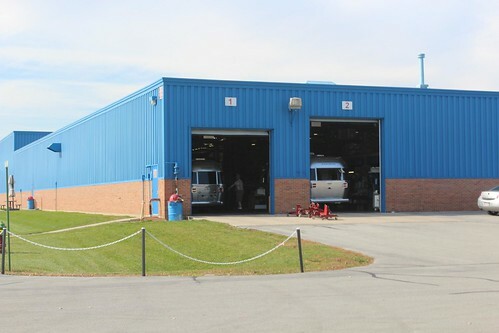 That isn’t too bad and we know that they do good work here at the factory service center. At least that’s what I thought. So we are on our own today. We have not been out and about this early this entire trip. Usually when we leave the Mish for a meal after everyone is ready, it is time for lunch. Today, we are having a legitimate breakfast. 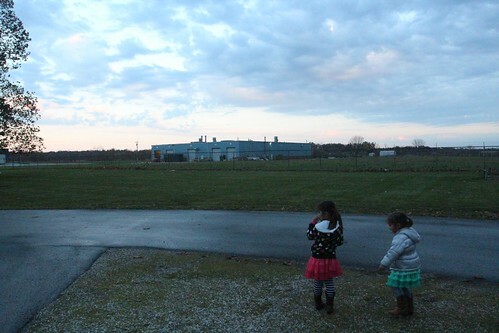 We headed to Wapakoneta just down the road from Jackson Center that we passed on the way there yesterday. It is the home town of Neil Armstrong, the first man to ever walk on the moon. There is an Air and Space Museum named after him in the city so we decided to check it out. 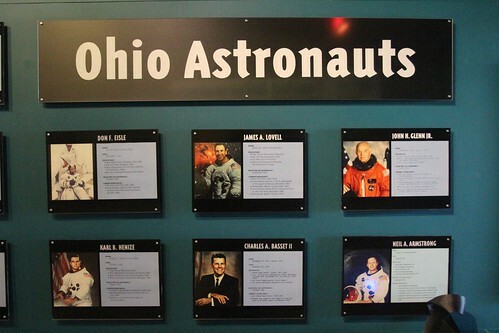 Ohio is a hot bed for aeronautics and space. After all, the Wright brothers are from here. That tradition has been kept by many notable aviators since Wilbur and Orville. Besides Neil Armstrong, you might have heard of John Glenn. He is from Cambridge, Ohio and was the first person to orbit the earth and the third person to ever be in space. James Lovell, he is from Cleveland, Ohio and was the commander of the famously successful failure of a space mission, Apollo 13. 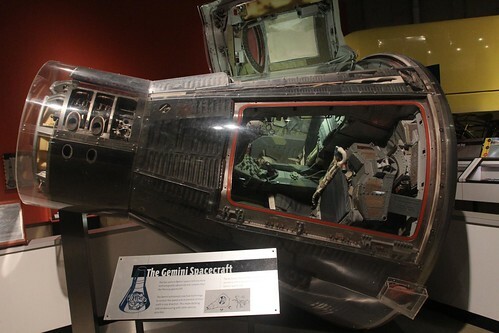 The crown jewel of the Armstrong Air and Space museum is an actual Gemini Spacecraft. The museum is not very big and it costs 7 bucks an adult to get in. 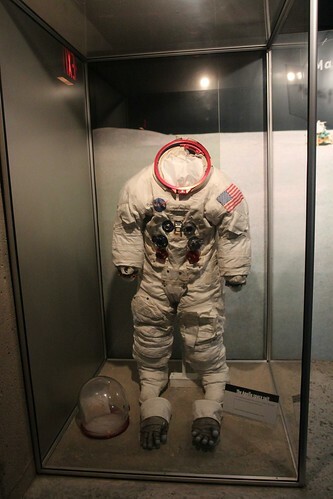 The museum is not in anyway affiliated with the Armstrong family but many items have been either donated or are on loan from them to be displayed here. 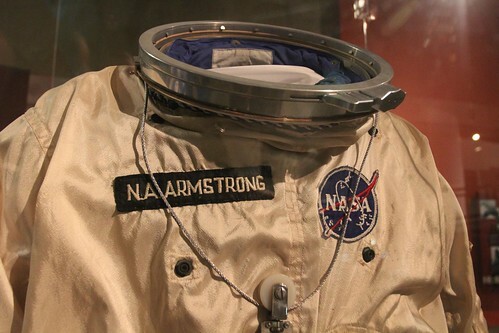 Like this space suit made for Armstrong. It isn’t the actual one he wore when he stepped on the moon but a back up in case there was a failure. If you weren’t impressed with the Gemini Spacecraft, maybe this is more your cup of tea. 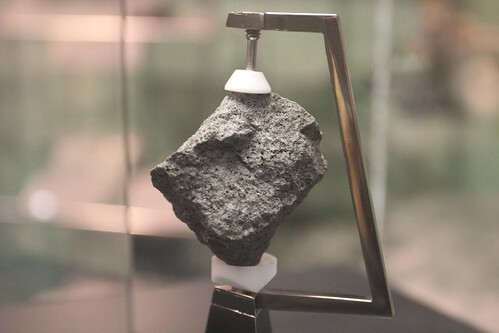 This is an actual moon rock. A genuine, extraterrestrial object bought back to planet earth via a spaceship. 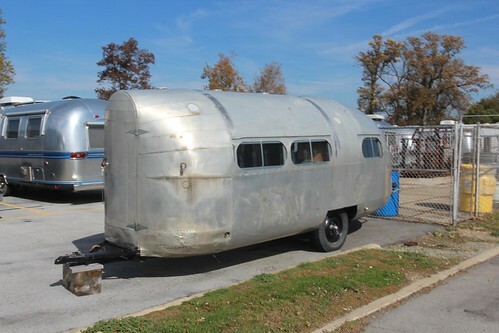 Airstream has often touted itself as having a role in the space program. From the Airstream motorhome that carried the astronauts to the launch pad to this custom-built quarantine station that Neil Armstrong, Buzz Aldrin and Michale Collins had to live in after returning from the moon. I have always felt bad for Michael Collins. Because of his role in the Apollo 11 mission, he never got to step on the moon. He had to play chauffeur to Neil and Buzz while they got all the glory. Today, everyone knows Neil Armstrong as the first man on the moon. Everyone knows Buzz Aldrin thanks to Toy Story for naming their space ranger toy after him. No one knows who Michael Collins is. One of my favorite exhibits at the Armstrong Museum is actually a series of old newspaper clippings that showed the reaction from people around the world during the 1969 moon landing. 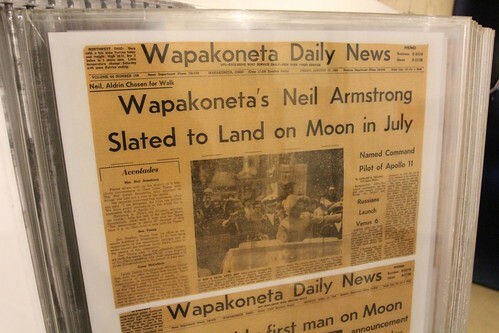 Of course they have all of the major newspapers reporting the event but they also have a bunch of local clippings from Wapakoneta as their local boy was picked to be the first name on the moon. In retrospect, it was one of the greatest moments in human history. 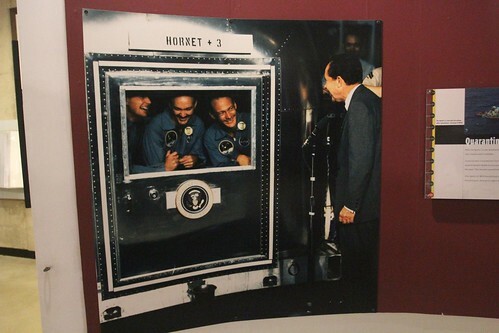 At the time, it was not certain that the moon landing would be a success or disaster. 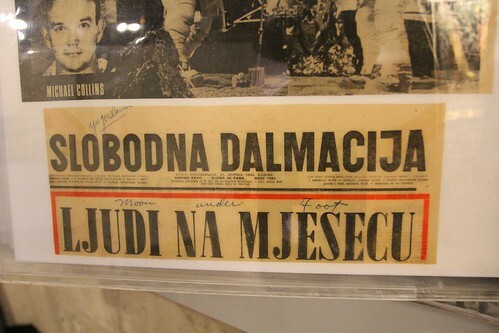 They even had a clipping from Slobadna Dalmacija. This is the newspaper in Croatia where Marlene’s family is from. Their translation of ‘Ljudi Na Mjesecu’ is ‘Moon under foot’ which is incorrect. It just says ‘People on the Moon’. Where is Google Translate when they needed it? 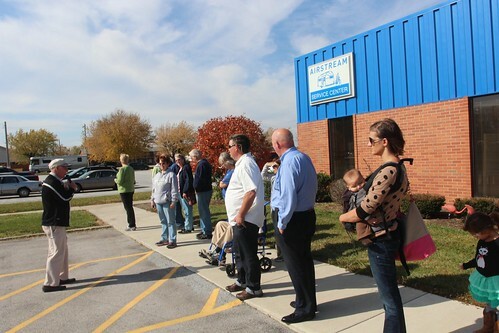 We made it back to Jackson Center around 1pm as we wanted to catch the factory tour that starts every Monday through Friday at 2pm. When we got back to the service department, we got some bad news. Apparently the brakes on the trailer are in worse shape than we expected. There was a fair amount of wear on the pads as I suspected. 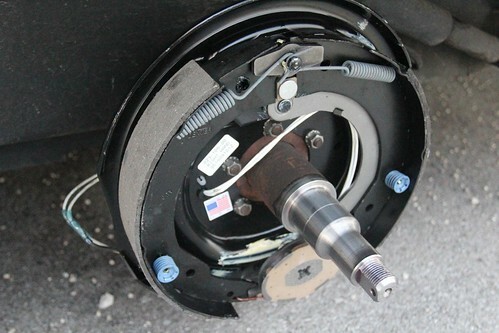 But since they are electric brakes, the magnets used on each wheel to engage the brakes are also showing wear. Instead of replacing the pads and magnets, due of the labor costs involved at $109 an hour, it is cheaper to just replace the entire brake assembly. The second part of the bad news is that the plumbing problem is not going to be covered by the extended warranty company. Even though the issues we are experiencing started immediately after their last authorized repair, the only thing we can do is take it up with the last shop who did the work which is more than 2,000 miles away. Having little choice about the brakes, we authorized the work to be performed. We are now looking at spending more than 3 times what we had originally budgeted for. But hey, at least the coffee is free. The service center lounge started to fill up as we got closer to 2pm. Our tour guide is none other than Mr. Don Ambos. 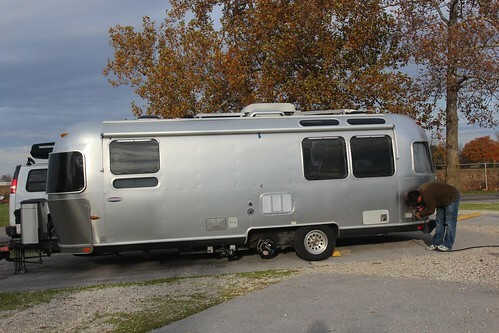 Don has worked for Airstream since 1958 and retired from his previous job in 1993. A year later, he began a new career as a factory tour guide. 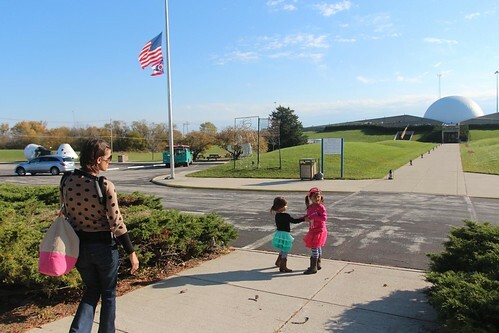 His tours have been recognized by many as one of the best factory tours in America. During the tour, we walked past our bay and saw Mali Mish in there getting work done. Our mechanic, Garrett, is very knowledgeable as are all of the other mechanics that I have talked to or overheard talking to other customers in the service center. There is one person whom I don’t particular care for at the service center and he happens to be our service adviser. I won’t mention his name but I will give you a clue, he’s the guy who looks a bit like the PC guy from the Apple commercials, John Hodgman, plus about 15 years. Maybe it’s because he is tasked with the job of dealing with every grumpy old guy who wants to argue about their bill, he does not come across as very friendly. Granted their fees are pretty extraordinarily high at $109 an hour for labor. That is probably 20-30 bucks more than the average shop even in California. Each time I walk up to the service counter, he takes a good 3 mississippis before raising his head at me with a blank, awkward stare without saying a word. As you will find out later in another post, his attitude problems don’t end there. 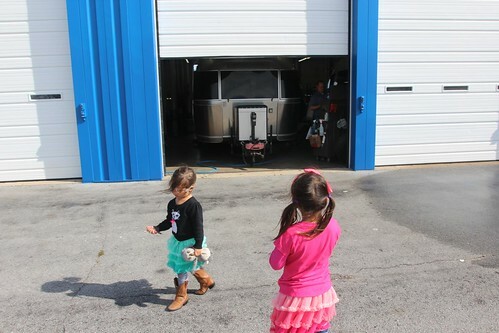 As we continued past the service bays during our tour, just inside the gates is an rare and original 1935 Bowlus Road Chief. The only other Bowlus that I have ever seen is the faithfully restored on at the 2011 Vintage Trailer show in Palm Springs. You can read about some of its historical significance from this post. As we approached the factory building, you can see some of these freshly minted Airstreams coming off of the production line. Unfortunately for you, this is as close as you are going to get inside this building since no photography is allowed. 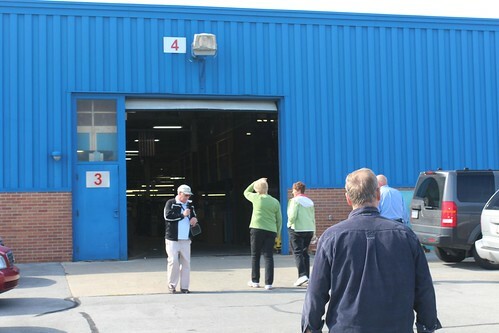 The tour takes you through the entire production floor with a surprisingly high level of access to the actual production line. At the end of the tour, we can see some of the nearly completed coaches and even walk inside some of them as they are being prepared to leave the floor. All of the tours except for Friday are conducted during production hours. The workers here take Friday’s off each week so they can have long weekends every week to take their own Airstreams out for outings which is a great benefit here. However Don does not take such a break. You can come for a Friday ‘non-production-day’ tour to get a slightly different perspective of their facilities. 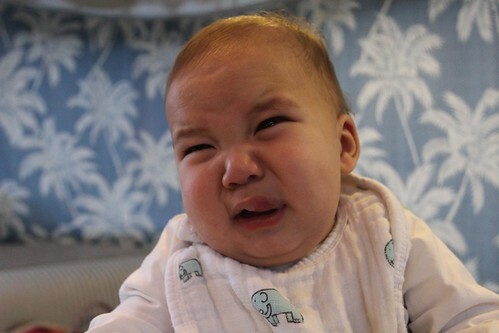 Back at the service center, Luka awoke from his nap and was speechless when learned about our upcoming service invoice. You might also be wondering where Yoda is during this entire process. 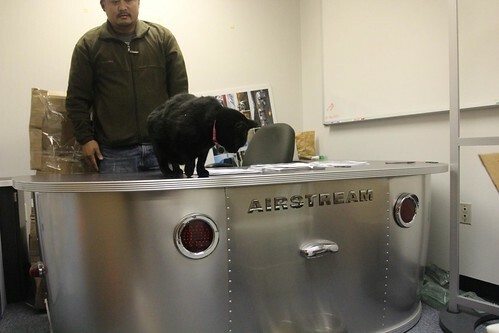 Airstream is very accommodating for cats as they know people travel long distances to get here and often have their pets with them. They let us keep Yoda in one of their vacant offices so she wouldn’t have to spend the day in the van. At the end of the work day, we learned that we will need to spend another day here to get the work completed. The Mish was brought back to the Terraport on just 1 set of wheels for the night for us to spend the night in. For those of you who are interested, this is the electric brake assembly. The brake pads are the gray, crescent-shaped material attached on the outside while the magnet is the oval-shaped object on the bottom of the assembly. The wheel hubs that the wheel attaches to will still need to be resurfaced and reinstalled tomorrow before the wheels can go back on. Once Luka learned that we are paying for the new brakes with his college fund, he was not very pleased. 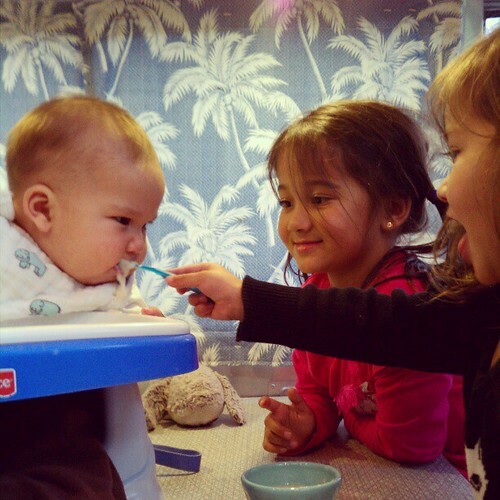 Sorry little man, in this family, everyone has to contribute. P.S. Happy 6 months, Luka! !